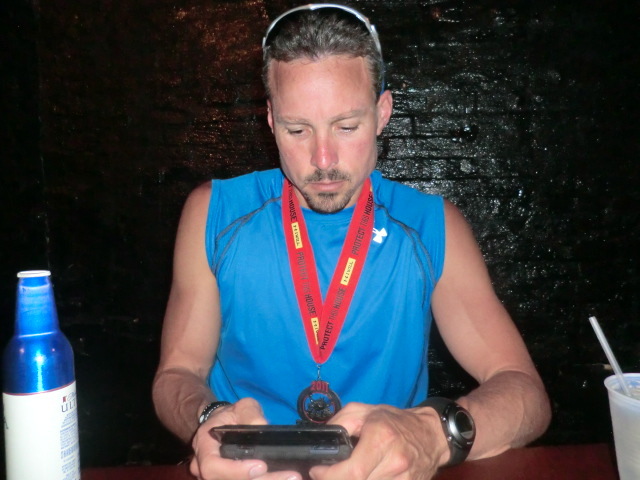 Jeff’s Post – My Baltimore Marathon Recap Video! I finally took some time today to put together a recap video from Baltimore – Enjoy! Thanks to mom and Tamara for all the pictures and videos! I had an ok running weekend. I wanted to get a long run in on Saturday but knew Friday that the weather wasn’t going to cooperate so I squeezed in 14.5 on Friday night and another 6 treadmill miles on Sunday. I’m going to be running another 26.2 soon and I really wanted to get another long run in, guess we will see if I have time. Congrats to all those who ran Marine Corps today. It was so much fun to follow all of the twitter updates. I love social media and love that it allows those who are not there to still feel a part of what is going on. Hope everyone had a good running/racing weekend. Run on!! Tamara’s Post – Pouring Rain & My DVR = Awesome Treadmill Run! 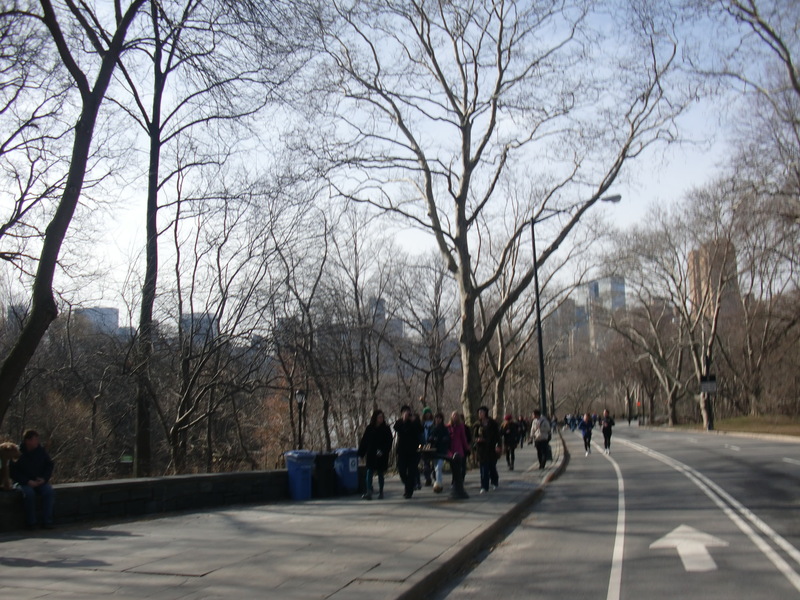 Jeff’s Post – Running > Biking! The bottom of my foot was still bothering me yesterday so I decided to spend about an hour on the bike trainer (I also lifted weights). I like throwing the bike in every once in a while but I enjoy running so much more. 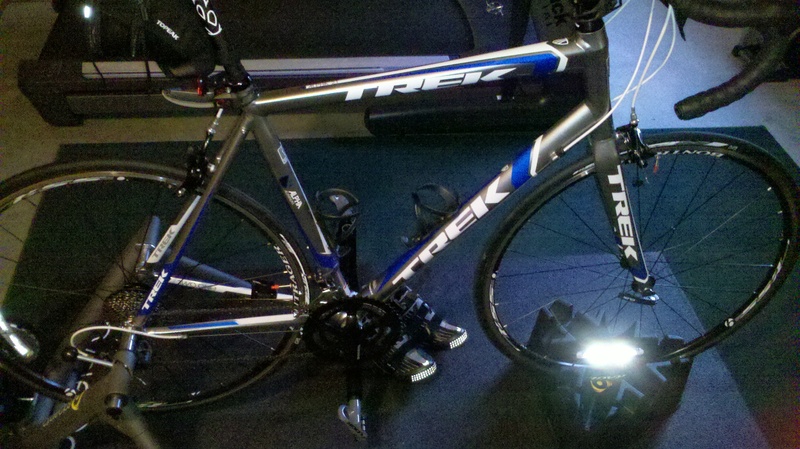 I never have an issue running inside on the treadmill but riding the bike on the trainer bores me. I love riding the bike outside – the trainer not so much! I also tend to recover slower after long bike rides. So this morning it was back on the treadmill. I have a great adventure planned in about 18 days and maintaining my running fitness without injury is my goal. I decided to break in a pair of new shoes. I think I have a running shoe problem. 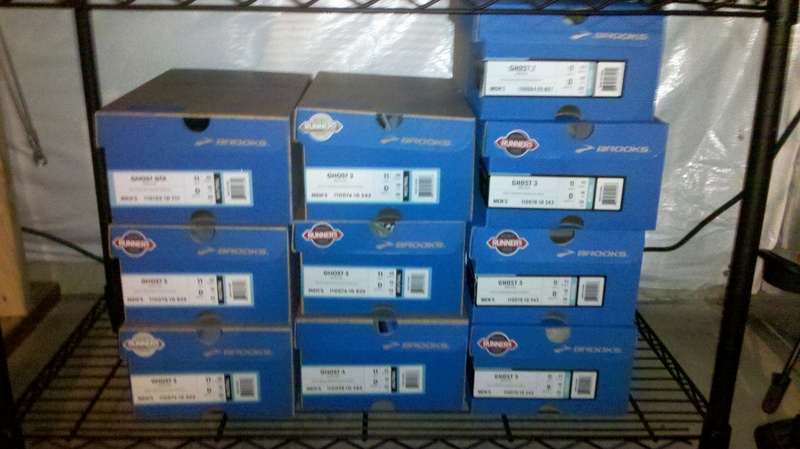 I have boxes of them and I’ve been sitting on a new pair of Brooks Ghost 4’s for a few months. I thought the extra cushioning would be good for my foot and I also thought I may take these shoes on my new adventure. The shoes felt great and I ran 8 miles – everything felt good – Yeah! Soundtrack today, Bon Jovi live at Madison Squared Garden. I’m a huge Bon Jovi fan and it has been a while since I’ve watched this concert DVD. It took me back to the trip Tamara and I took to New York earlier this year. We went to see Bon Jovi at Madison Squared Garden and we had an amazing run around Central Park. I love visiting New York and can’t wait to go back. Runners Dinner at Bon Jovi Concert! 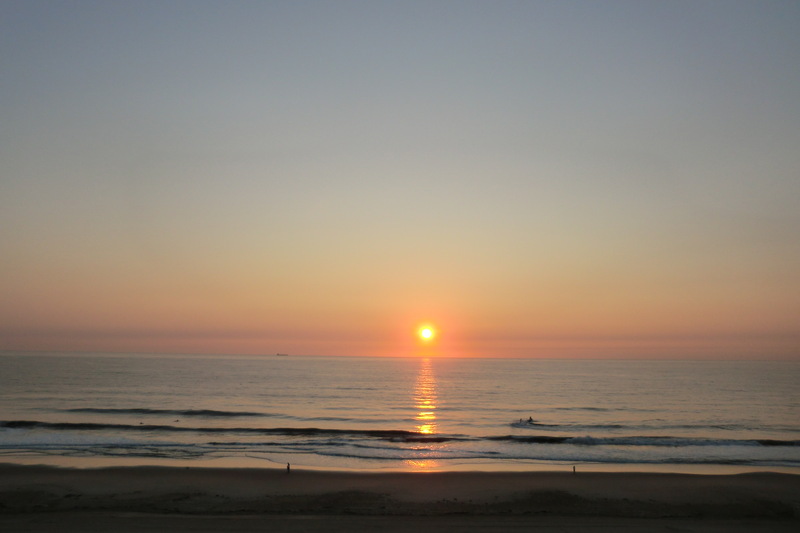 Have a great day – If it is a nice day go outside for a walk or run – you will be happy that you did! 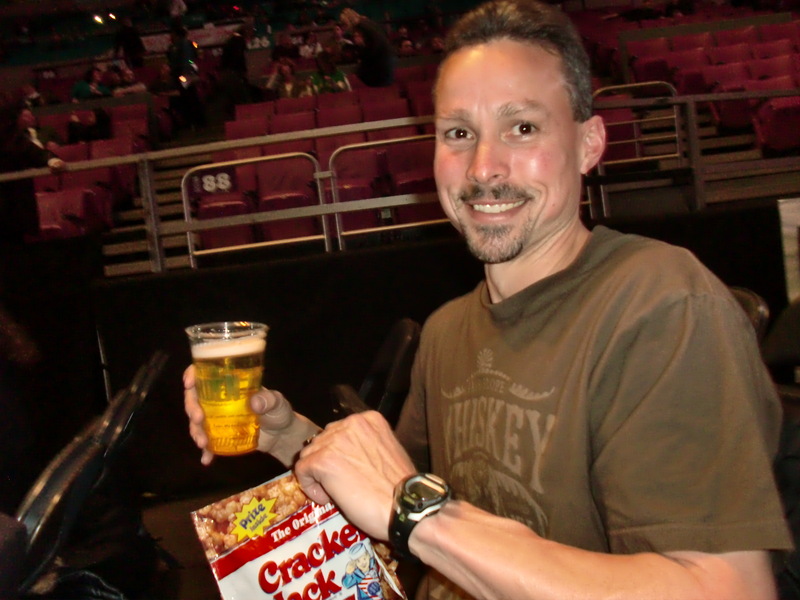 Jeff’s Post – Run On!! I really had no specific running plans after the marathon last Saturday. I decided I would just run when I felt good and see where things went from there. I’m very happy with the past week. The marathon was Saturday and I took Sunday and Monday off. I was excited to get back on the treadmill on Tuesday and ran 7 miles, Wed 8 miles, Thursday 4 miles, Friday 4 miles, Saturday 6 outside miles with Tamara and today I ran 13.1 outside miles. I really enjoyed running outside this weekend. Loved the sunrise run with Tamara on Saturday and I felt really good on my 13.1 mile run this morning (although the bottom of my foot feels a little bruised – I live on a gravel road and I’m thinking I might have stepped on a larger rock running in yesterday). I’m hoping to ramp up the mileage this week (assuming the foot feels ok) and would like to get a 20 mile run in on Saturday (we will see). We have some upcoming races that I will share soon and I want to make sure I’m in top shape for those! Hope everyone had a great running weekend – Run On!! Jeff and I hit the road around 6:30am…it was still dark and we carried flashlights. It didn’t take long until the glow of the sun was visible on the horizon. A large barn appeared only as a dark outline against the ever stretching pink and orange sky. One by one the stars disappeared, the moon grew fainter. We ran. We talked. It was a great morning for a run and as I remarked to Jeff about a mile into our almost 7 mile run – there was no other place I would have rather been. Hey Tamara – Runner’s World Just Contacted Me! So Tamara and I were having one of those days at work yesterday and I decided to lighten the mood a bit. I couldn’t do this in person (cause I would start laughing) so when she was out at an appointment I sent her a text message telling her that Runner’s World contacted me. I tell her that they want to feature me in an article on late blooming runners. I sit there anxiously waiting for the congratulatory text to come back. “Bing” there is it – I have a new text and I quote (well, mostly quote because I don’t want the blog to be given a mature rating 🙂 )“U r kidding – I’m late blooming tell them that” – ok that made me laugh. I proceed to tell her that they will be at one of our upcoming races and I will probably do it then – Next text “R u kidding”. 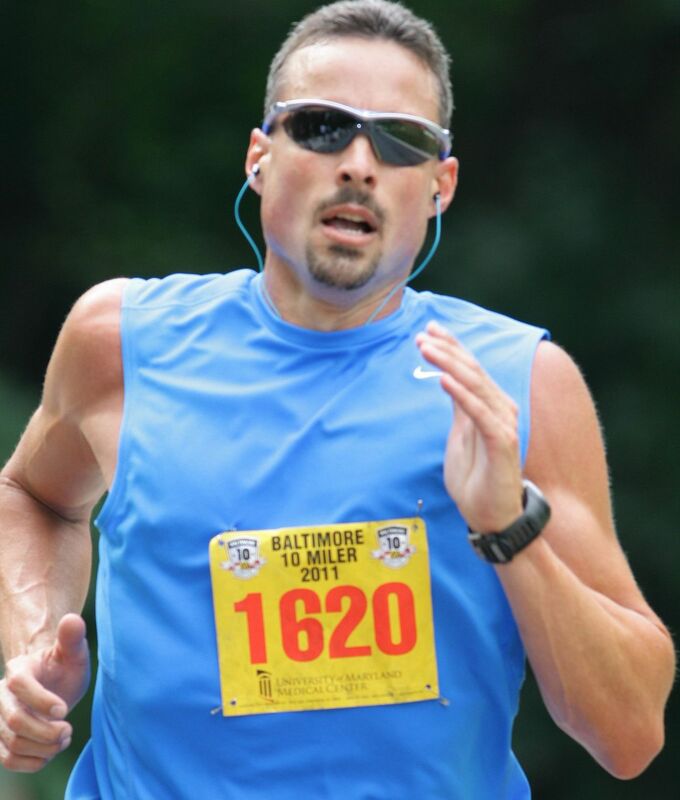 I decide to keep it going a little longer and tell her that they want to use my picture from the Baltimore 10 miler and I’m trying to figure out how to get a release for the picture. – Next text from Tamara “U r serious bout making a living out of running huh – Good thing I’m your trainer – I get a big cut”. That’s my Tamara :). I couldn’t go any longer and decided to tell her I was kidding. I’m sure she knew but we both got a good laugh. So – Runner’s World if you are reading this I’m available and can be reached at Jeff@werrunners.com …..but Tamara and I are a team and “werrunners” so you really need to feature both of us! 5 days post marathon and another short 4 miles on the treadmill this morning. Tamara and I are hoping to get an 8-10 mile run in tomorrow. Yeah! – Love running outside with Tamara! Have a great day and go for a run if you get a chance!! Tamara’s Post – Love This Feeling! When I woke up this morning after about 5 1/2 hours of sleep, I knew I needed a good run to make me feel better and to wake me up. Something only a runner would understand. I got on the treadmill around 4:50am and got my 5 miles in before most people are out of bed! I love the feeling of heading to work after a good run…love knowing I did something good for myself before I begin sinking in piles of work. I am now refreshed…I am now awake!!! What a great feeling! I love being a runner!!! Jeff’s Post – 26.2 Done – What’s Next????? I didn’t start running to run a marathon and a marathon was never one of those things on my bucket list. I started running to improve my level of fitness and very early on fell in love with the joy of running. The marathon was just a natural progression that allowed me to push my mind and body further than I ever thought I could – An amazing feeling by the way. So what is next? – I have some things planned and will share them soon. My initial goal is to maintain and improve my marathon level of fitness. I want to be stronger, I want to run faster, I want to run further. I want to continue to strengthen my mind and body – So stay tuned! – Thank you for being a part of my journey – it motivates me! 8 Treadmill miles this morning – Really feeling good 3 days post marathon. Have a great day and go for a run if you can! Tweeting and Facebooking Post Race!! It is starting to sink in a little that I’m a Marathoner (you can read my Marathon recap here). Post Marathon, I continue to analyze my performance on Saturday. I’m happy with my 3:58 time but really thought I could run a 3:30 (probably crazy for my first Marathon but that is what I was thinking). Those who know me know that I’m always looking to improve and this is just a natural progression to improve my performance for the next one. :). I’m also sharing my thoughts in hopes that it might help others who are running their first Marathon. 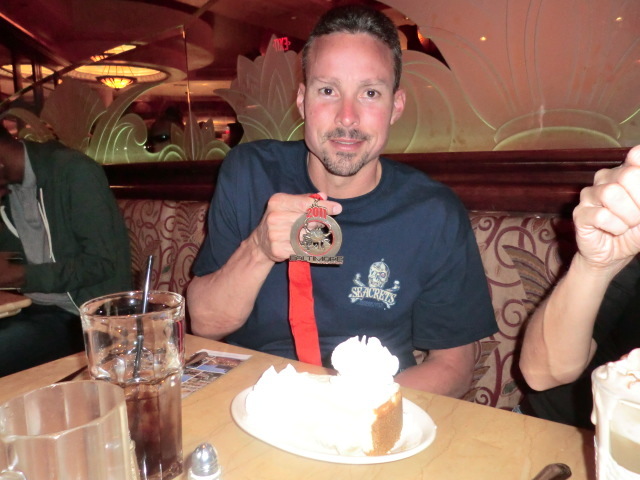 Post Marathon Meal at Cheesecake Factory! I WENT OUT TOO FAST! – Classic Rookie Mistake – At one point when I was running with the 3:20 pace group for a few miles I actually thought to myself that I could qualify for Boston (Crazy). Nice to have goals but I shouldn’t have been thinking about Boston during my first Marathon. I think I ate breakfast too early. The race start was 8:00am and I ate at the same time I normally would on a 6:30am training run – I got hungry when I was running! Not sure why but for some reason I could never get in a zone like I did on my long training runs. Most of my long runs were by myself outside – just me and my iPod. I wanted to run in a bigger race and found some of the noise and all of the people distracting at times. At one point the TV station helicopter constantly hovering overhead bothered me. I also took an old bib and wrote my name on the front. I loved all of the cheering for “Jeff” for a while but it wasn’t as motivating as I thought it would be when I was struggling – I ended up taking it off mid race. Note to new runners – If you do this use an old bib or duct tape – you might want to get rid of your name at some point . I did a speed run a week earlier (10 miles @ 7:30-7:40 pace) and I’m not 100% sure I was fully recovered from that. I should have done the speed work earlier in my training and made that last run an easy run. I didn’t train on enough hills – My mostly treadmill runs didn’t help me with the hills! I thought about adding incline to the treadmill while I was training but made a decision not to use it because I was worried about injury. I was really paranoid about injury the few weeks leading up to the Marathon – I had worked way too hard to get injured right before the race. I walked too much in the city on Friday – My legs felt tired when I went to bed Friday night. I actually went to bed a little concerned that my legs were bothering me. I think I was reading too much about what to do towards the end of my training. I felt like during my taper weeks I changed almost everything I was doing (diet, types of runs, distance). I ran my best training run (22 miles) when I was averaging around 55 miles per week. During my last two weeks I was down to around 35 miles per week. I just feel better when I run more! Hope this info is helpful to some – it was just helpful for me to write it down! I had my first post race run this morning 7 miles on the treadmill. The run felt great – had to make myself stop at 7 miles! Have a great day and go for a run if you get a chance! Tamara’s Post – 5K (Diaper Derby)…Done! Marathon Cheerleader…Done!